What’s the best time to start a pool project? When you are ready. We do not have seasonal sales nor create false buying advantages to increase our work load. Spring can be the more difficult time of year to build due to spring snow melts, late snow storms, and “April showers”, but it is our firm belief that no one should rush through the process to get the pool for any one given season. 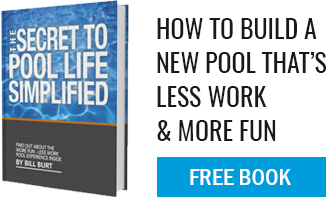 Building a pool is a whole lot more than digging a hole and filling it with water so take your time. Choose the right builder. Research the features and their benefits and plan on the pool supplying your family and friends with years of enjoyment. Those who rush because, “Summer is coming”, tend to make decisions that are not always best for the long run.